Kuroyuri to Kage released a statement earlier saying that they have been dropped from the Ains label as of March 31st. Back in January, Gt. Koyomi and Dr. Mutsuki announced that they'd be departing and retiring as of March 31st. Despite the member loss, the band said that they'd be continuing with a new member lineup April 1st. Since then, no details as to the member lineup have been announced, but half a month after the new lineup was supposed to begin, the band announced that they had been dropped from Ains the day they lost two of their members. As of April 30th, the band will be removed from the Ains site and their merchandise will disappear from the webshop. While you can purchase their goods from the Village Vanguard Online Store, they will explain how to buy their official merchandise at a later date. 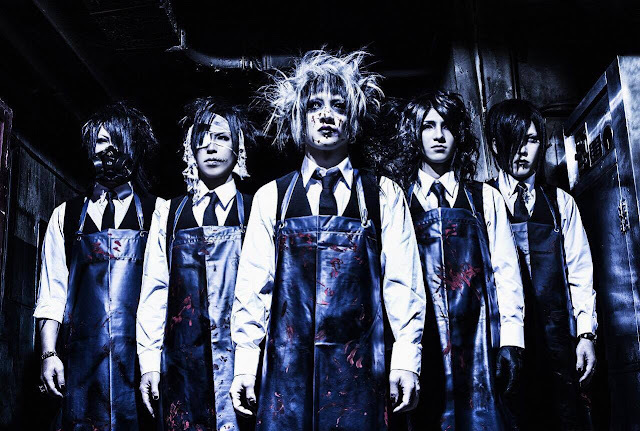 Also, the band will be disappearing from the “AINS -Ankoku kakumei-” fan club, although the date for their removal has not yet been set. Despite this sudden announcement, the band assures fans that they intend to keep moving forward. Kuroyuri to kage has started their second period as of 1st of April. They have no intents to quit the band, their activities will continue. Kuroyuri to Kage 2nd line-up -Karasuna Mei- birthday one-man live is set to take place on April 26th at Takadanobaba AREA. Hopefully, more details will have been revealed by then.